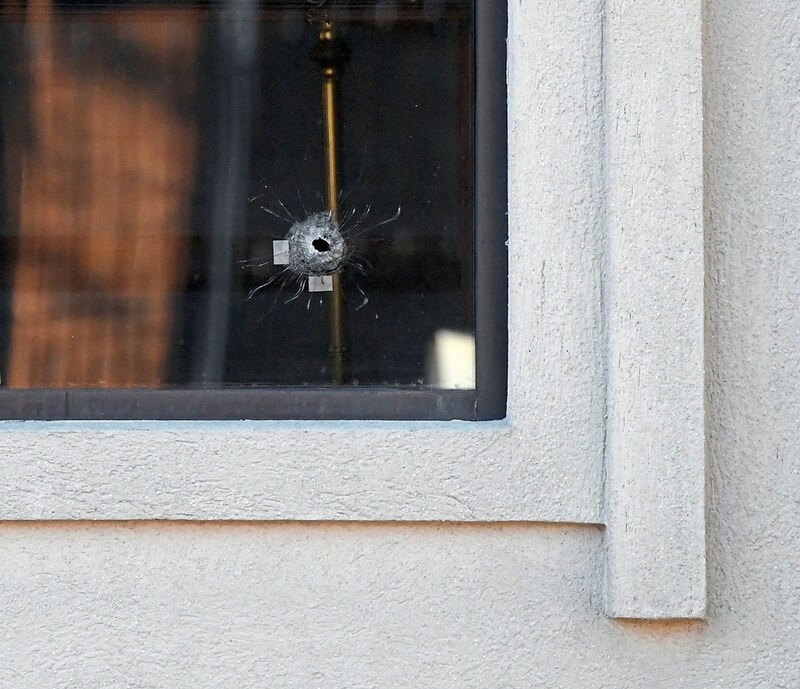 Gunshots were fired through the Monroeville building window of Pittsburgh defense attorney Patrick Thomassey on Friday night, following the acquittal of ex-cop Michael Rosfeld in the shooting death of an unarmed Black teenager, Antwon Rose II. Thomassey is Rosfeld’s attorney and had given a press conference after the jury declined to convict Rosfeld, telling news cameras that he hopes residents remain calm and “everybody takes a deep breath and gets on with their lives,” according to USA Today. Five to eight gunshots were fired at the building, and Pittsburgh police said no one was hurt, Fox News reported. Police said the gunshots hit a window and a front wall and a few trash cans and newspaper stands were toppled over, but nothing more serious. On Friday, jurors acquitted Rosfeld in the shooting death of Rose. The teenager was a passenger in an unlicensed taxi that was reportedly involved in a drive-by shooting when Rosfeld pulled the car over. As he attempted to flee, Rosfeld shot Rose several times in the back and other areas, according to USA Today. Kenney said she although she wasn’t surprised at the verdict, it still upset her. “It isn’t what I hoped for, but it’s what I expected,” Kenney said, according to the Pittsburgh Post-Gazette. Although Rosfeld won’t face time behind bars, the Rose family still has a federal civil rights lawsuit pending against him and the town of East Pittsburgh. Assistant District Attorney Jonathan Fodi declared in his closing argument that Rosfeld had acted as “judge, jury, and executioner,” and the video evidence showed “there was no threat” to the officer.